Though Skagway is quite a small city, home to less than one thousand people, there is something for every visitor. Here at Shore Excursions Group, we make sure that you have something to enjoy in this scenic and petite city. For the adventurous types, we offer Skagway tours for hikers, boaters, bikers, kayakers, and those who love the thrill of Jeeps and helicopters. 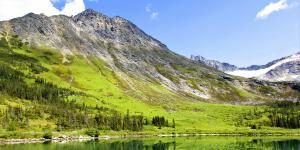 For the more laid-back tourist, we have tours for photographers, gold miners, and anyone who simply wants to discover the breathtaking beauty of the Skagway wilderness and wildlife.